The removal of Mr. Acosta’s credential, after a tense news conference on Wednesday when the CNN correspondent aggressively questioned Mr. Trump, has raised alarms among press freedom groups that say the president is encroaching on journalists’ basic right to cover the government. Aides to Mr. Trump said that he was most bothered by reporters who, in his view, spoke to him in a belligerent manner, and that his willingness to take questions — he did so for about 25 minutes on Friday — made him more open to scrutiny than past presidents. 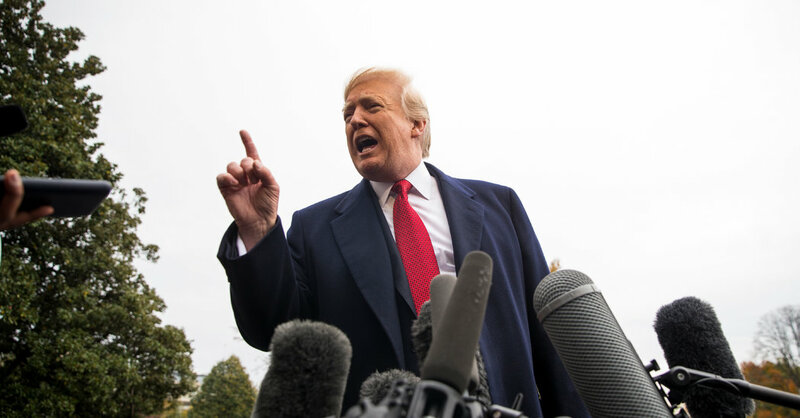 But Mr. Trump’s retaliation against Mr. Acosta, buttressed by a false claim that the correspondent had handled a female White House intern roughly during the news conference on Wednesday, has little precedent in the modern White House. On Friday, the president lashed out at Mr. Acosta again, calling him “a very unprofessional guy.” He went on to insult other members of the White House press corps, including April D. Ryan, the correspondent for American Urban Radio Networks and one of a small number of African-American reporters who cover the administration. Mr. Trump also laced into another African-American journalist, Abby Phillip of CNN, who asked the president if he wanted the new acting attorney general, Matthew G. Whitaker, to “rein in” the investigation being led by the special counsel, Robert S. Mueller III. Mr. Trump, who relishes jousting with reporters, has offered tough words for journalists of all races and genders. In the past few days, though, he has insulted or replied harshly to several African-American women, including Ms. Ryan, Ms. Phillip and Yamiche Alcindor, a White House correspondent for PBS. Olivier Knox, president of the White House Correspondents’ Association, said on Thursday that his group had been lobbying privately for the administration to restore Mr. Acosta’s press pass. In traveling to Paris, Mr. Trump may escape the Washington press corps for a few days. But he will be reunited with Mr. Acosta, who is scheduled to cover the trip for CNN. Does the Walton family earn more in a minute than Walmart workers do in a year?